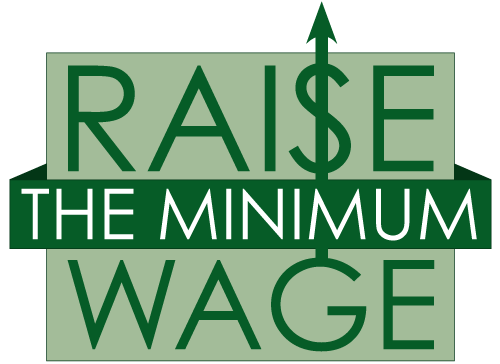 As business owners and executives, we support raising the federal minimum wage to strengthen our economy. The minimum wage of $7.25 an hour amounts to just $15,080 a year for health aides, childcare workers, cashiers, security guards and other minimum wage workers. With less buying power than it had in the 1960s, today’s minimum wage impoverishes working families and weakens the consumer demand at the heart of our economy. Raising the minimum wage makes good business sense. Workers are also customers. Minimum wage increases boost sales at local businesses as workers buy needed goods and services they could not afford before. And nothing drives job creation more than consumer demand. Businesses also see cost savings from lower employee turnover and benefit from increased productivity, product quality and customer satisfaction. Increasing the minimum wage will also reduce the strain on our social safety net caused by inadequate wages. A recent national poll shows that 67 percent of small business owners support increasing the federal minimum wage and adjusting it yearly to keep pace with the cost of living. The most rigorous studies of the impact of actual minimum wage increases show they do not cause job loss – whether during periods of economic growth or during recessions. The minimum wage would be over $10 if it had kept up with the rising cost of living since the 1960s instead of falling behind. We support gradually raising the federal minimum wage over three years to at least $10.10 an hour, and then adjusting it annually for inflation to keep up with the cost of living. A fair minimum wage makes good sense for our businesses, our workforce, our communities and our nation.